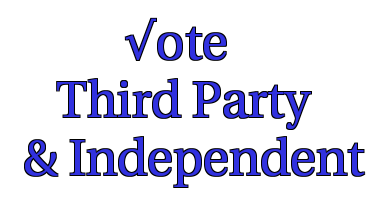 Third Party and Independent Daily: How Not to Elect A President! How Not to Elect A President! I post selections from the perennial MN politician Eugene McCarthy's No Fault Politics that gives his informed perspective on how the Electoral College was not permitted to work in the way originally intended by the writers of the US Constitution. This is what helped to inspire my own ideas about how we could revamp the Electoral College to be the second stage of a two stage election.